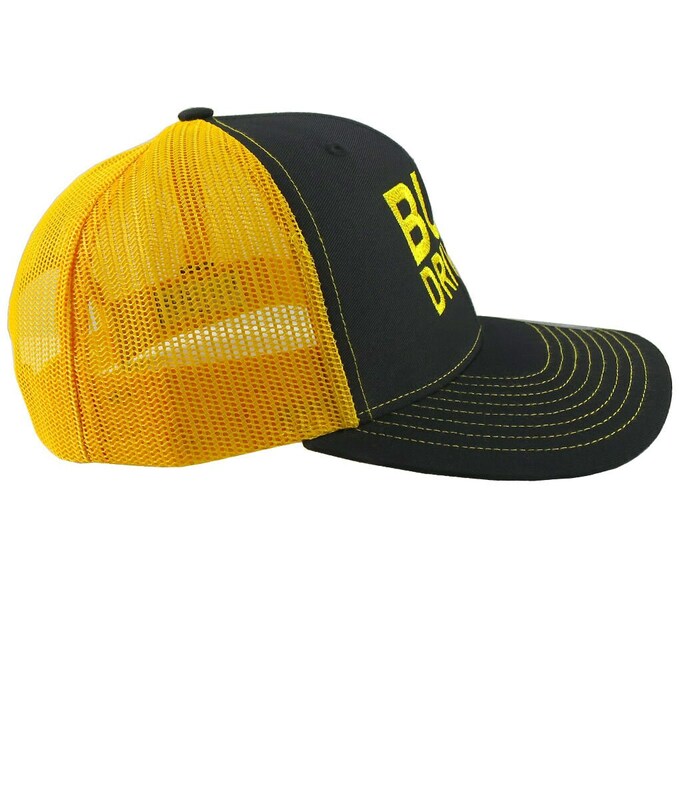 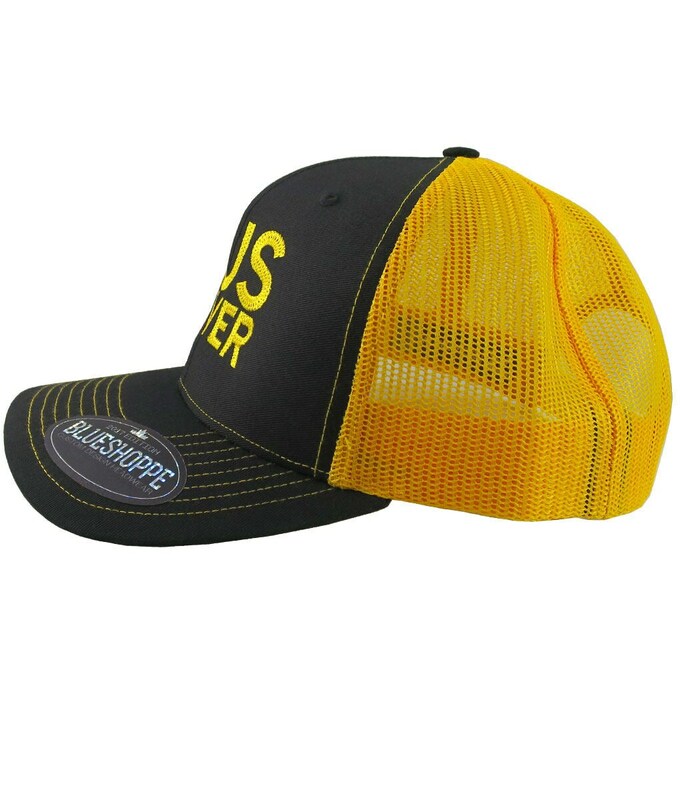 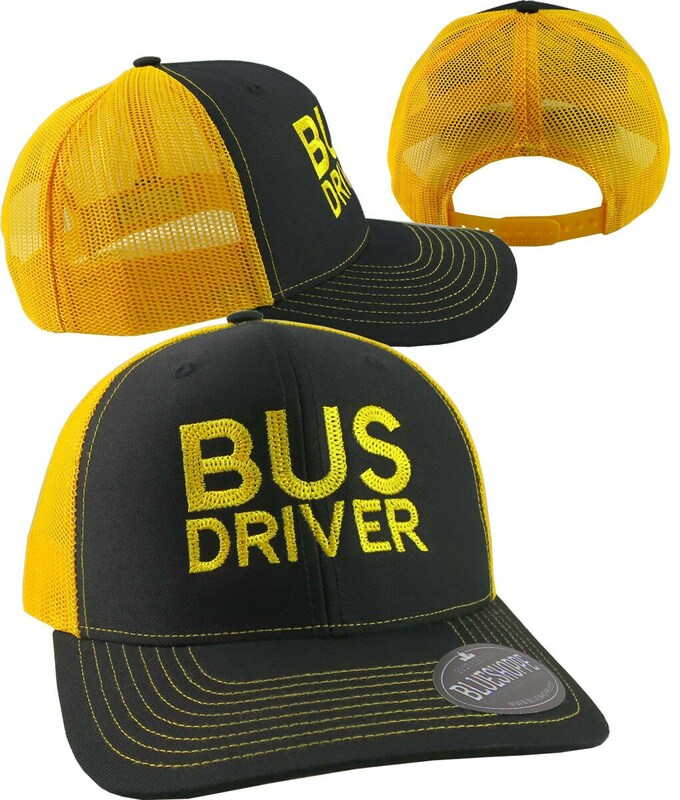 A fun and festive school bus driver adjustable truckers style cap in black and yellow. 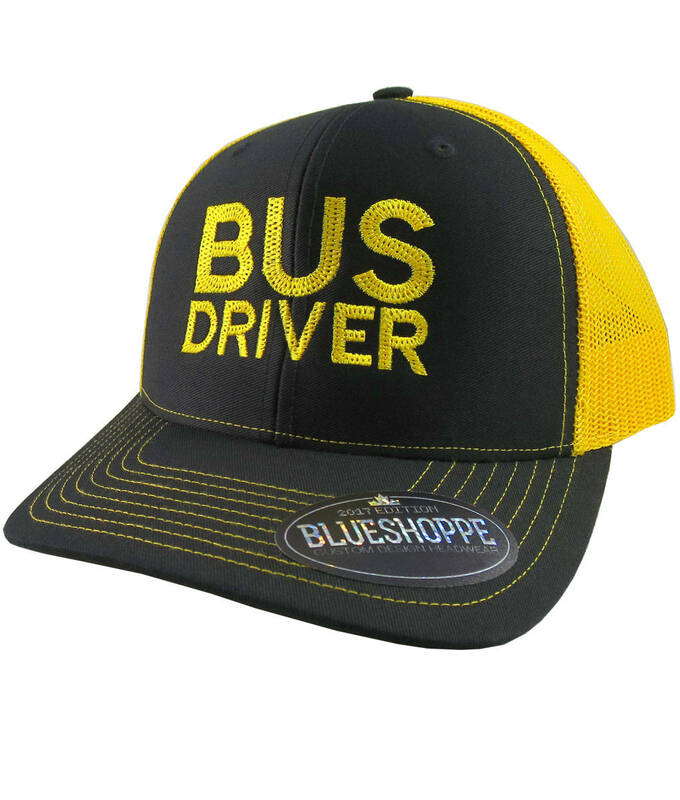 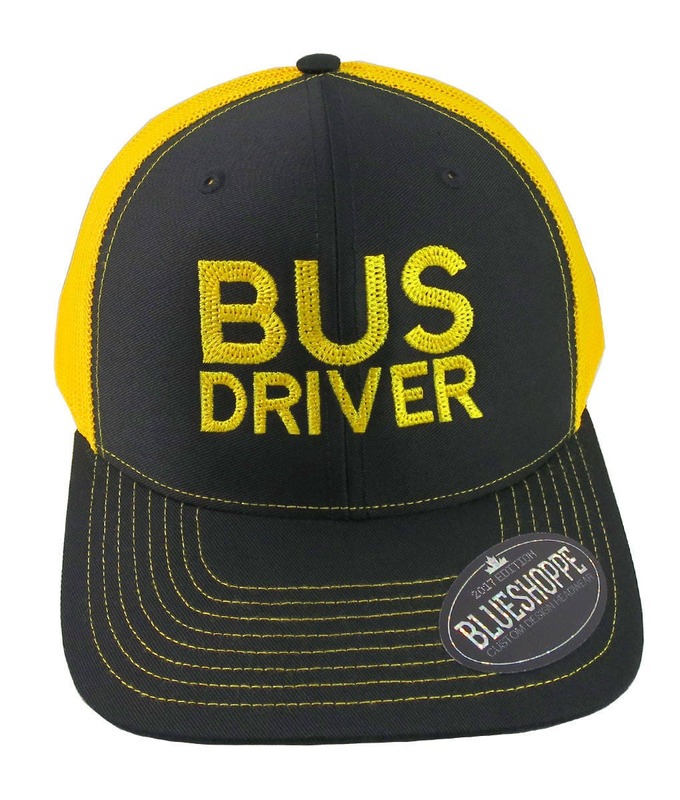 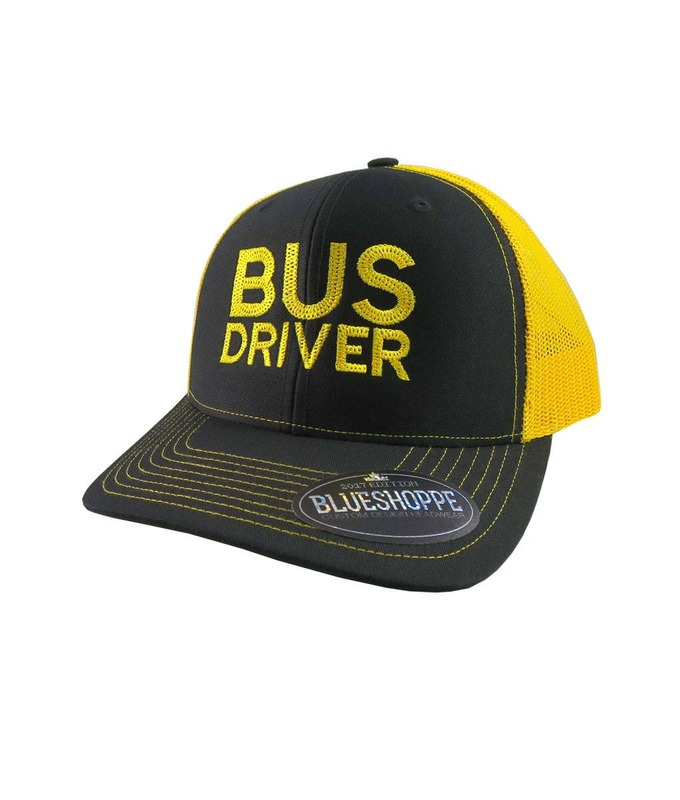 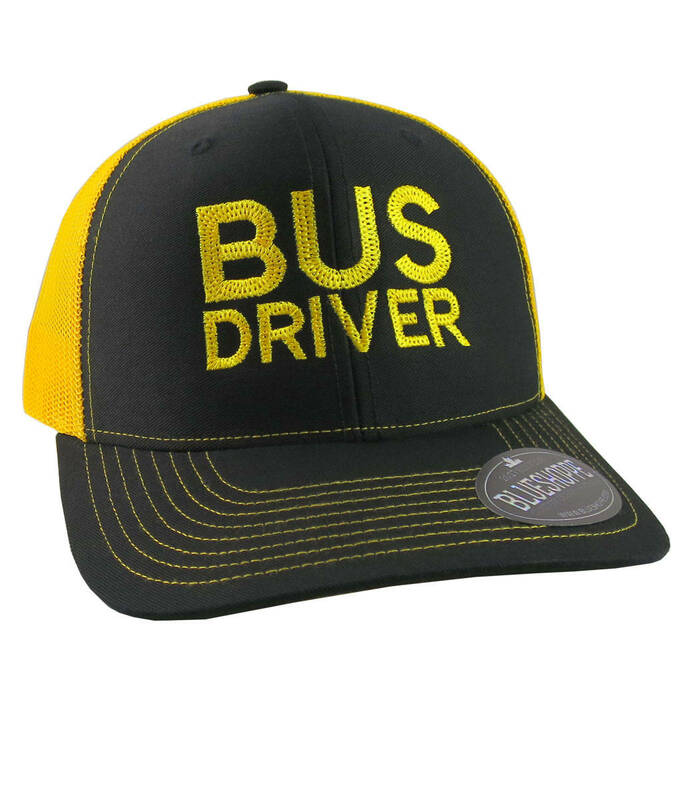 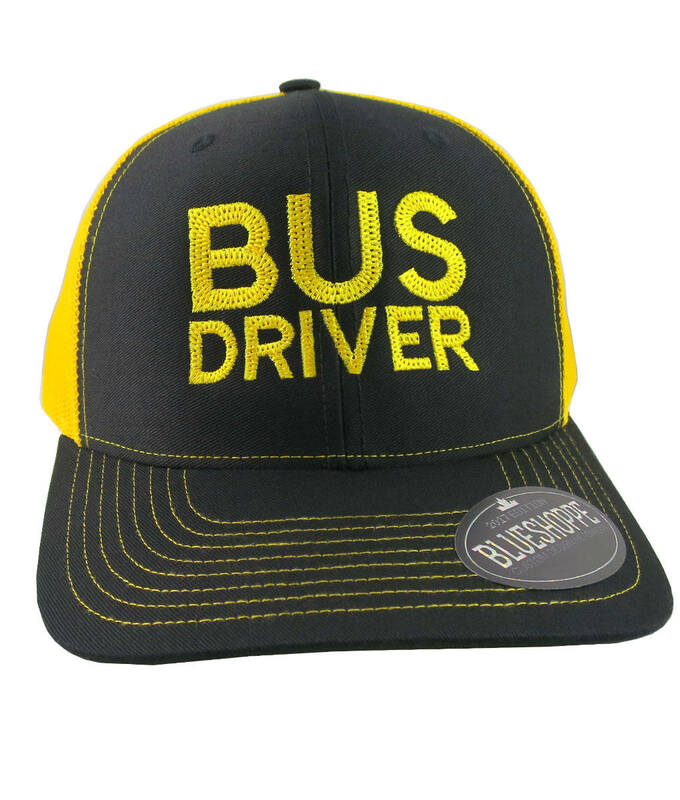 A great looking yellow and large embroidery work represent a great gifting value for the special bus driver on your list. 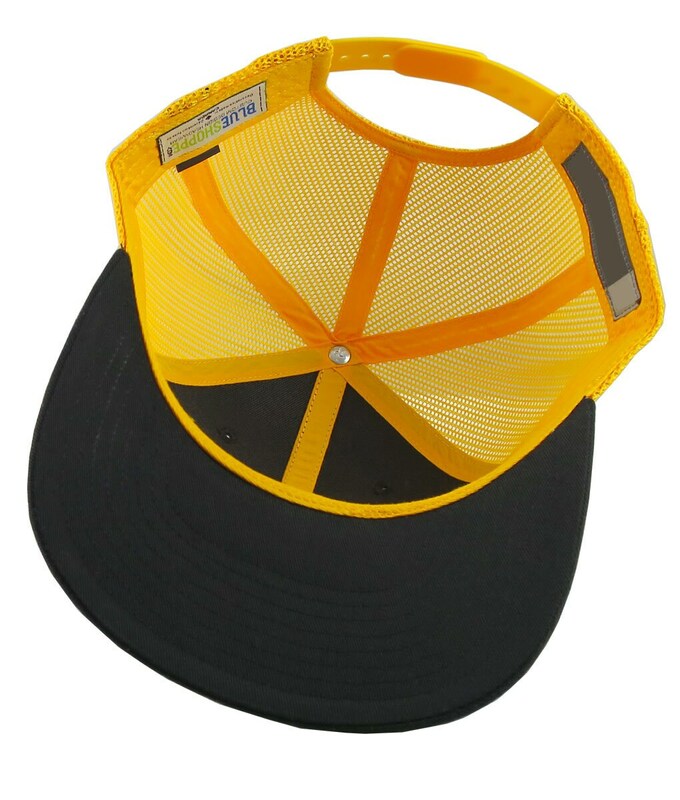 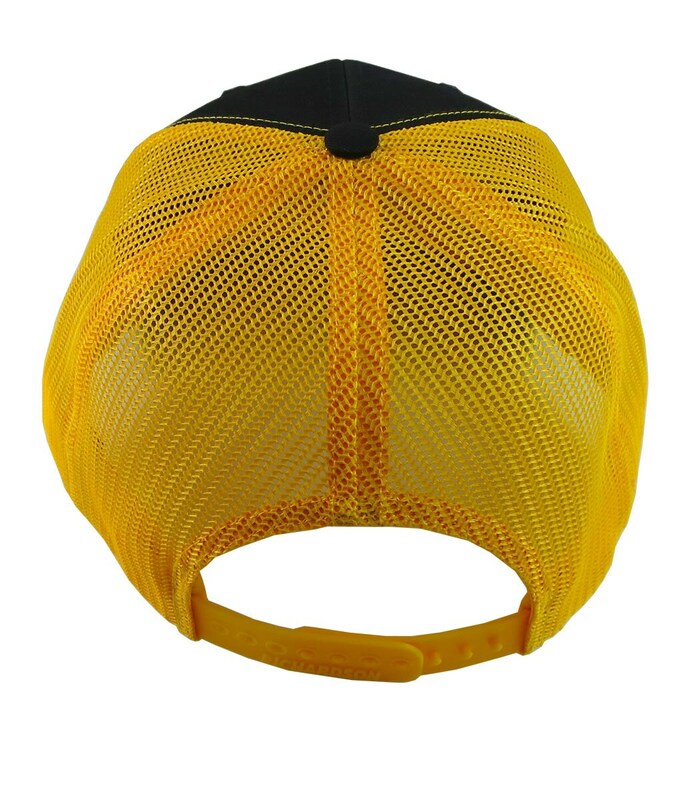 Pre-curved PE visor with eight rows of yellow contrast stitching.